winter: cold temperatures, hot topics, a visit to the auto show and moments with old and new friends. 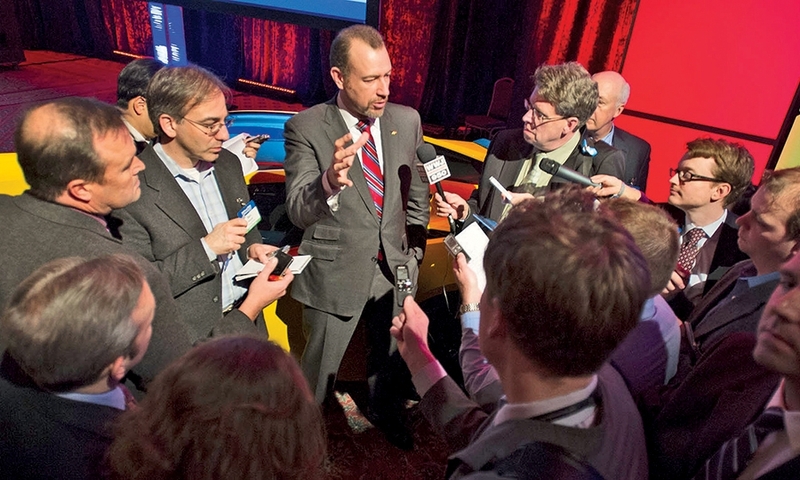 General Motors President Dan Ammann answers questions from reporters. 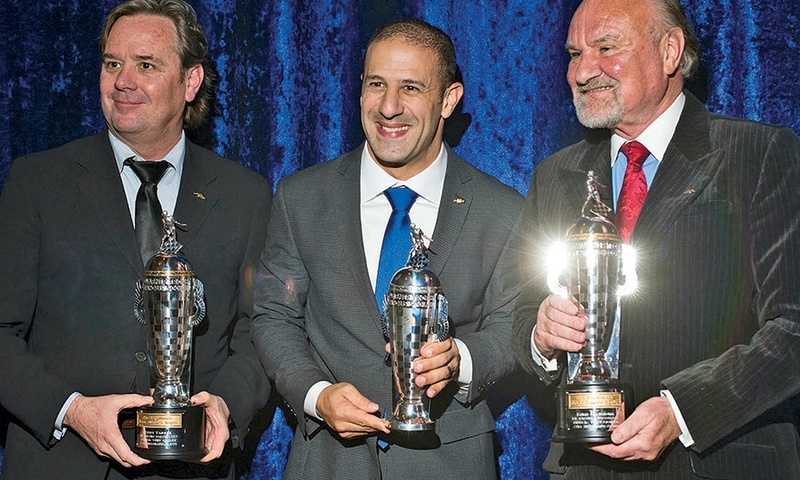 Tony Kanaan, winner of the 2013 Indianapolis 500, was awarded the BorgWarner Championship Driver's Trophy. He is flanked by Jimmy Vasser, left, and Kevin Kalkhoven, winners of the BorgWarner Championship Team Owner's Trophy. 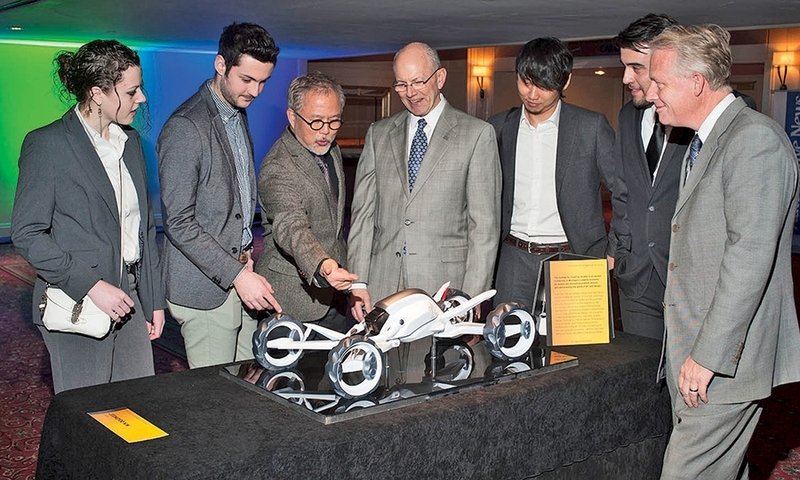 Students from the College for Creative Studies in Detroit check out an exhibit with CCS Provost Sooshin Choi, third from left; CCS President Richard Rogers, fourth from left;and Alexander Klatt, far right, chairman of transportation design for CCS' master's program. Coworkers from Dana Holdings enjoy some liquid refreshment at a reception. 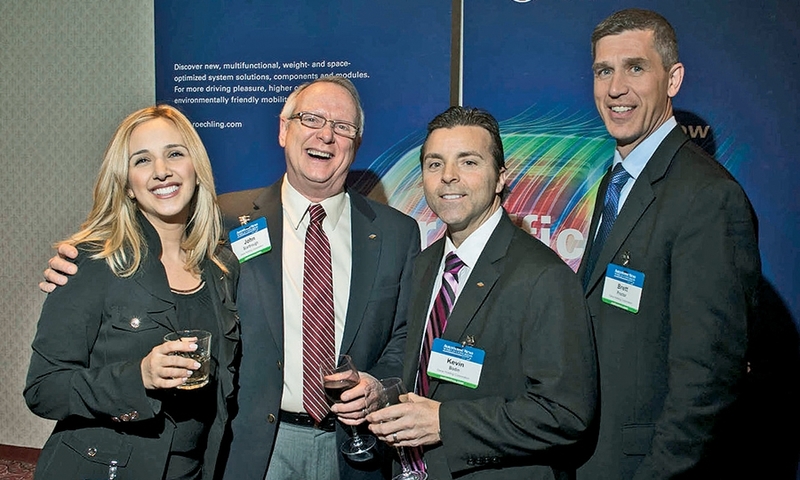 From left: Tania Hajal, John Scarbrough, Kevin Bodin and Brett Proctor. 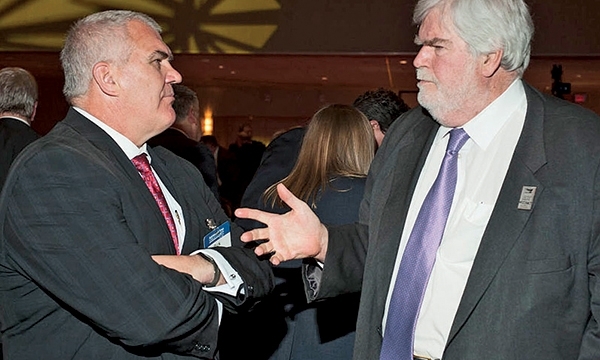 Rick Hanna, left, PwC's global automotive leader, chats with Keith Crain, editor-in-chief of Automotive News. 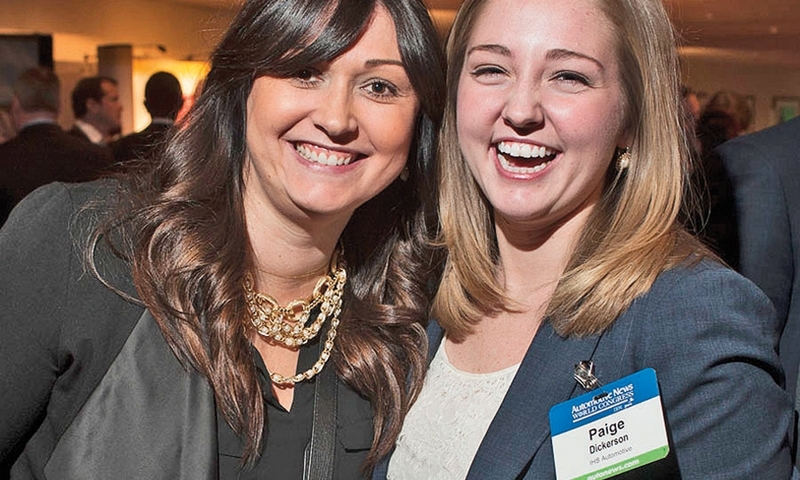 Colleagues Nicole Popov, left, and Paige Dickerson of IHS Automotive seem to be having a good time. 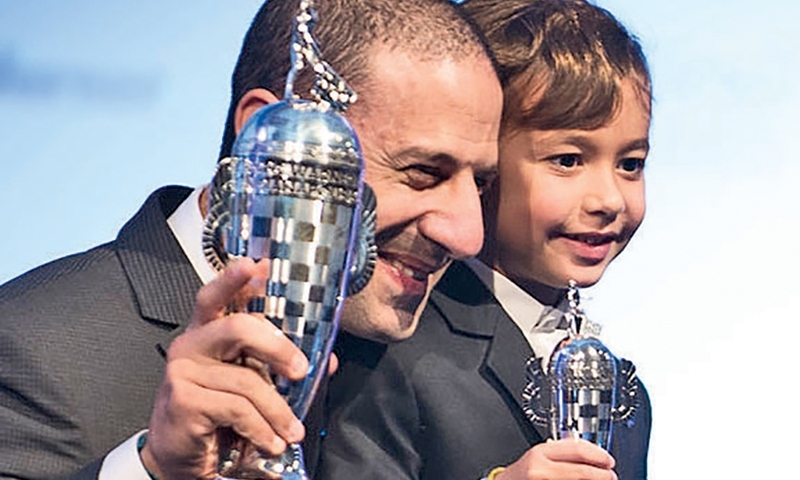 At left, Kanaan enjoys the moment with his son Leonardo.